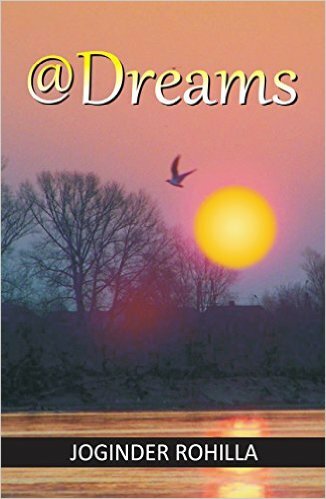 At dreams is a book which is written for everyone who has a dream, who wants to follow the inner voice in persuit of his dreams..and keeping this very topic in mind the story of this book is written. this book actually revolves around friends ,bonding ,love and will definitely redefine the meaning of brotherhood and friendship . The story is about the protagonist umang , a middle class teenager who qualified the entrance exam and applies for admission in govt. College just to avoid the high admission fees. Far from his expectations and dreams somehow he got chemical engineering which was way more different from his dream, amid the financial crisis in his family, he followed his dreams of persuing engineering with the support of his brothers tarang and swastik.. his brother has always been his motivation factor and have always inspired him to achieve something big and to follow his dreams.. But later in college, umang sarthak and virat entangled in everything from bunking classes to drinking..samar had strong feelings for mahina but couldn't dare to open his heart to her where as umang's heart started beating for pavitra.. but the sudden realization of their dreams changed their lives completely.. what exactly happened with umang? What did actually broke him down? His own learning therapy failed to bring him back on life's track ? What could have beenn the reason behind this ? How will umang cope up with all these hurdles? Will samar be able to speak the language of love to mahima ? Yes or no ? And if yes, will mahima respond back in the same language ? 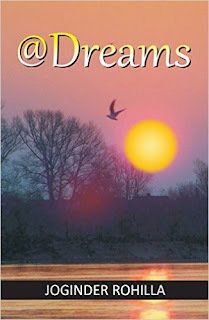 To get answers all this question do read @dreams and enjoy this journey of love, laughter, fun, dreams, learning and inspirations.. Strength of the book : engineering being the core of this whole book is beautifully described ..the scene of ragging is very engaging and have been protrayed very nicely.. a new concept ' learning therapy ' has been introduced in this book by the author which will keep you hooked..one can easily take help from the lead character amd can learn to tackle adverse situations ..impression dialogues, effortless narration.. title is apt and story is amazing and engaging.. Weakness : the story is written in much of a prologue form, which might distract the readers ..
Allover : if you are looking for a motivational book, then you must pick up this one ! Every engineering student will connect to this book and will surely recall their college days..! All in all joginder has done justice with this book and has presented a masterpiece in the form of "@dreams". You deserve 3 A's : amazing, admiring and awesome..